Wednesday afternoon, Julie, Matt & I went to Zippel Bay for a couple of hours. We back trolled crawlers in ten to fifteen feet of water. Marked a lot of fish, but the bite was slow. We kept two nice walleyes and three saugers. 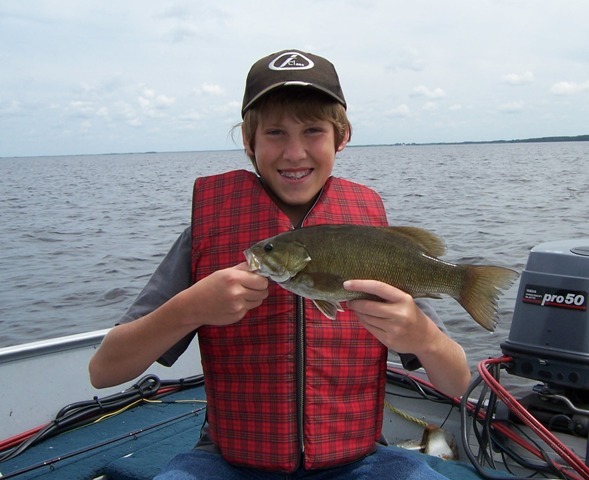 Matt caught and released a nice 15″ smallmouth. On our way home we stopped and picked a few blueberries. They are nice, but still a lot of green ones.